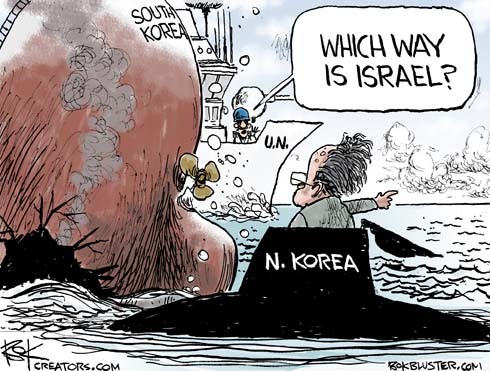 The UN condemned Israel for it’s raid on the blockade running “Peace Flotilla”, sponsored in part in Turkey. Netanyahu remained defiant, claiming the craft was not the “Loveboat”. Krauthammer thinks the blockade is more than justified. Peter Beinart says it must go. Beinart’s old boss at the New Republic, Marty Peretz, had the bad manners to bring up the Armenian Genocide. 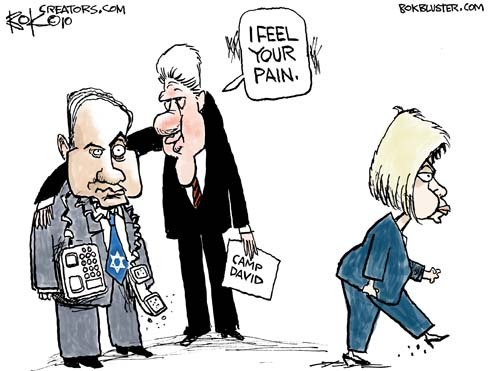 Krauthammer mentions the Clinton’s relations with Israel.